As regular readers will know, the ChessJournal App is all about helping and supporting amateur woodpushers improve and learn from their ‘over the board’ games (as opposed to playing online which we believe is totally different – read this blog for our views on this). 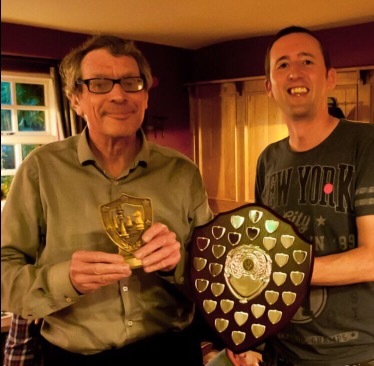 Therefore, here at the blog I have decided to start a regular feature showcasing the wealth, size and general diversity of chess clubs around the world. 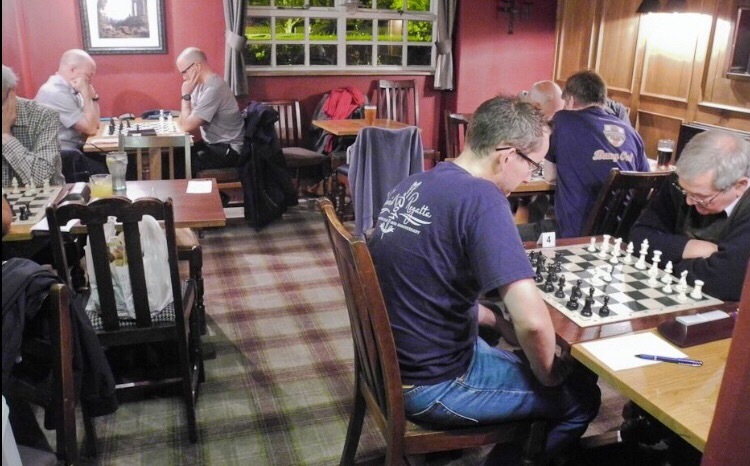 So without further ado let me introduce Limewood & Scarcroft Chess Club, near Leeds in the UK. I conducted this interview via email with Chris Tatham, Alan Riddle and club captain, Paul May. My thanks for their insightful and refreshing answers both about their club and wider chess in Britain today. Enjoy! 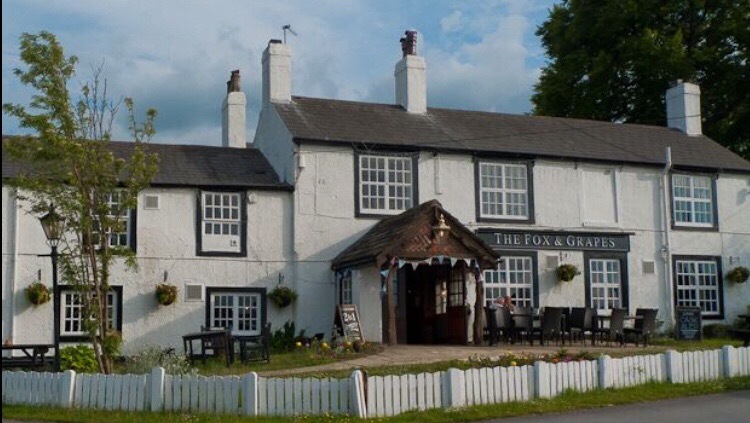 We’re Limewood and Scarcroft Chess Club based at the Fox and Grapes, a pleasant pub on the A64 between Leeds and York. We were formed towards the end of 2014 and are the newest club in Leeds. We have around 20 active players of all strengths with 2 teams playing in the Leeds League (Divisions 2 and 3 next season). League and club nights are on a Wednesday at 7pm. The vision for the club was to provide a good environment to encourage new players to the game without that initial pressure to win straight away and without the lack of interest shown in weaker players by many clubs. We demonstrate this aim in our ‘B’ Team which has been consistently made up of players with ECF grades under 100 and even as low as 23 but who are among our keenest members. Most had never been a member of a chess club before. Several had to be given a tutorial in chess notation before they could take part in a real match. On the other hand our ‘A’ Team is now attracting stronger players – our strongest is graded around 160 – and this helped the team to gain promotion to Division 2 for the coming season. One of our strongest players is Bob Maltby. He achieved a success rate of 79% on his games for us this season and has just been declared our Player of the Year. The result is that the club can now offer a chess-playing experience suitable for a wide range of players, from hardened veteran to novice. We have just completed our 3rd season. We were set up towards the end of 2014 At first we struggled to get a five person team together but since then we have gone from strength to strength with the creation of a second team last season and aiming for a 3rd team next season. Our ‘A’ Team gained promotion this season into the 2nd division by finishing 2nd. And our ‘B’ team finished bottom of a very strong bottom division. Both teams met the targets we set at the beginning of the season! Our greatest achievement to date was winning the Leeds Mini League this season which is a 3 man handicap competition. We fielded two teams. Our top team were clear winners and our second team (all graded under 90) came joint 2nd. We also made it through to the semi-final of the Arjay knockout competition, narrowly missing out by drawing the match, but losing on board count. In recent years the Leeds league has been growing and currently has three divisions. Two of the biggest and oldest clubs in Leeds are Alwoodley and Rose Forgrove. However in recent years the strongest clubs have been Leeds City Centre and new club Moortown (also formed in 2014). Great to hear and read about the establishment of a very young new club and how they are already seeing success both on and off the board. I particularly liked their comments about how chess clubs support and encourage weaker players. Its often all too easy for splinter groups to arise in clubs where they are separated along grading boundaries. In my experience all the great clubs (my own included) offer a level of support and inclusivity no matter your ability. You never know when you need someone to step off the sideline and in to the game! So there we are, our first club profile. I hope you have enjoyed reading it and if you have any suggestions on format then do please leave a comment in the section below. Obviously it is a new feature and I’m sure we will refine it as we move forward. Also If you would like your club to be featured in a club profile then do please get in touch via our Twitter or Facebook pages of email info@chessjournalapp.com. Especially if you are a club based outside the UK! We are always fascinated to hear how other chess clubs run around the world! I already have a few clubs lined up so Im hoping this will become a regular feature to the blog. Until next time, thanks for reading and all your support. So the long summer break is finally over and we enter yet another season of cut and thrust ‘Over the board’ chess. To coincide with the start of the new chess season we launched another update yesterday for everyone’s favourite self study chess app. Version 1.4 of ChessJournal now contains two key new features. You can now create a unique URL for each of your games and share them with club mates through Twitter, Facebook, Whats app, email or what ever takes your fancy. The keen eyed amongst you will have noticed me starting to test and tweet this functionality late last week but now it is available for all to enjoy, huzzah! Myself and Matt are really pleased to finally get this functionality into ChessJournal as it has always been on the roadmap. We hope you find it useful for those evenings after the dust has settled on the league match from the night before (or on a Monday after that long hard weekend tournament). Don’t lament that loss or rejoice in the win by yourself. Its your club mates responsibility to tell you how you could have won that vital extra half point! We have also added a “variations scratchpad” to the app to enable you to explore the key positions that you may have annotated. The scratchpad basically lets you open a new board position and shuffle some wood until you find the winning combination that you missed over the board (with a little help from the chess engine should you need it). We find the variations scratchpad fits nicely into the dynamic annotation timeline as it allows you to just double check some of your assumptions around the moves that were made (or missed). You will find the variations scratchpad under “Options” in the dynamic annotations timeline of your games, titled “Analyse Position”. That just leaves us with moving ChessJournal onto the Android platform as the last part of our initial roadmap. We have already begun to look into and test the app on Android and I aim to bring you news as soon as possible about when you will be able to get ChessJournal on the Play store. What is definitely likely to happen is we will run another sales promotion to celebrate moving onto the new platform. Probably free for 6 weeks at the time of writing, so please do standby to tell your friends. Finally I wanted to mention an idea we have been floating around ChessJournal HQ for a while regarding measuring the success of keeping a journal. 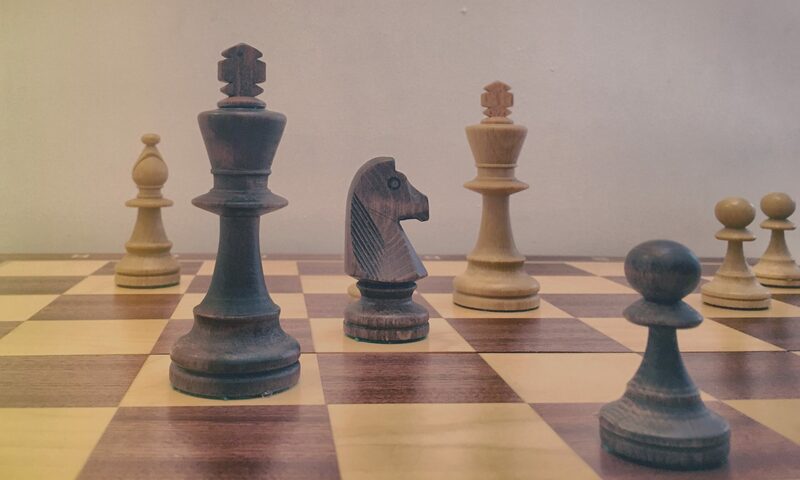 ChessJournal is built around the premise that we believe amateur chess players can benefit more from analysing their own games and mistakes, than spending hours pouring over 2800 GM games pretending that we fully understand. Whilst elite game analysis is also important, lets not pretend that the reason for most of our lost rating points is because we couldn’t remember the 16th move of the Berlin defence. Therefore, I want to encourage all readers and owners of ChessJournal to start tweeting their games to #chessjournal throughout the coming season. Perhaps even start be tweeting your personal goals for the season. For example, I am aiming to add 75 rating points to break the 1900 barrier for the first time in my life. A lofty goal but hey we all have to have ambition! Thank you reading and all your messages of support and feedback. To all ChessJournal fans in the new season, Good Luck! Added a PGN export feature at the request of many a wood pusher! Added a Dynamic Annotations Timeline feature to radically overhaul the previous annotation option. It is the launch of our Dynamic Annotation Timelines (DATs) that has got me and Matt really excited and we feel takes ChessJournal to the next level. We previously acknowledged that the annotation feature felt basic in version 1.0 (a simple text field). But as of today you can not only annotate individual moves but also immediately return to critical positions by pressing on the annotation number on the left hand side. We really hope those of you who have already downloaded ChessJournal update soon and have a play with the DAT. It packs the ‘Journal’ into ChessJournal. Unfortunately we were just a day too late for some people thou. Sadly we received our first 1 star review yesterday with one customer lamenting the annotation feature of ChessJournal. I really hope they upgrade today and are pleasantly surprised. My only comment would be thank you very much for the feedback as it really helps validate the direction that me and Matt want to take ChessJournal. One other piece of news from ChessJournal HQ is a decision around pricing. I have been regularly (my wife would say religiously…) monitoring our analytics on the App Store and its fair to say that July and August have a noticeable dip during the off-peak chess season. Therefore to get everybody geared up for the new competitive season we have taken the decision to offer a ‘summer sale’ by giving ChessJournal away for FREE in August! If you have been admiring ChessJournal from afar then now would be a really good time to give it a try (and also tell your friends). If you bought ChessJournal already then I’m sure you know how much me and Matt value your support and the early encouragement that you have given us. Thank you! Speaking of support, in this release we have also added a quick link to leave a review on the app store (on the seasons list screen). Anybody who works with apps will know how important customer reviews are so if you are enjoying what me and matt are doing with ChessJournal then please leave us some love! Finally a quick social media update on the ChessJournal community. We now number 472 likes or followers. A tidy bunch if ever i saw one! Thanks for reading and do please continue to spread the news of ChessJournal to your club mates, friends and coaches. Together we can promote the power of ‘over the board’ chess whilst learning a little about ourselves in the process! “Try not to lose too much“. Ok back to ChessJournal. I have downloaded the app and input the 18 games for the 2015/16 season. As I input each game it is refreshing to revisit games that I haven’t looked at for 9 months and I immediately start to spot patterns in my play. I like to think I’m a good defender, especially with my favourite Owens defence (1..b6). Turns out I’m not. Last season I played Owens defence and scored almost 60% in Division 2. Its just not working in Division 1. Where last seasons opponents were confused, the higher calibre opposition saw straight through my ruse and battered me with black across the season. A miserly 36% (admittedly from only 7 games) shows a poor return with the black pieces. Its not just my overall performance with black but the manner of the defeats. On three occasions I was absolutely smashed in the early middle game, particularly when my opponent adopted an early knight e2 structure. The game below lasted 18 moves after an early Qg4, ouch! Reviewing my season reveals that on at least three occasions I lost games due to tactics involving pinned pieces. Ive had a suspicion of this weakness in the past but seeing it on the board with the engine running drives home that I really don’t spot this type of tactic. I mentally note to look at this further. The game below shows how rook to B8 lost instantly to the rather lovely rook C6! In a complete counter to my performance with black, I score a respectable 55% with the white pieces against strong opposition. However, a deep dive into my 11 games with white reveals that of my 4 draws, 3 of them I was in a winning position either on the board, on the clock or both. Although objectively two of the games were level, there was a lot of play left in the position and my opponents had very little time left. I appear to be overawed with the stronger opposition when I have them in a nasty spot. My finding is validated from my wins with white where I have played some unsound but positive moves (see my bishop sac below) and been rewarded with the win. Finally a look at Trends shows that I have scored highly (1900) when drawing. How many of those could have been full points rather than half? Practice performing extra double checks for pinned pieces. My structure is not always as solid as I would think! Be more confident with white. I am actually strong with white (averaging 1870 ELO) and could easily have scored even higher if I wasn’t intimidated by my opponents grade on the score sheet. Thats it! At the conclusion of a tough season, full of mistakes, I’ve learnt a lot and I take some consolation when ChessJournal shows a grading performance of 1828 (78pts more than last year). As promised, I wanted to write another blog post covering the high-level development roadmap for ChessJournal now that v1.0 has gone live. Over the weekend we have received some fascinating feedback that we are still collating from all of you. Whilst v1.0 of ChessJournal works on iPad, we are well aware that it needs a level of optimisation to improve the “look and feel” when compared to its iPhone counterpart. For example, typography and pop-up windows in particular. The iPad optimisation of ChessJournal is a “straight after launch” activity because we learned through our App Store application that iPad also had to be supported. If you have downloaded ChessJournal on the iPad then don’t worry, it will be improving soon. As I stated in my last post, the addition of PGN export functionality has always been intended but following the v1.0 release we realise how valued this is. The addition of PGN exports for games also ties in nicely with another missing piece of functionality that didn’t make it into the first version of ChessJournal: Sharing. It has long been our goal that upon entering your chess games then ChessJournal should enable you to share them via email or social media (eventually we might move to the point of sharing between different ChessJournal’s but that is a way off yet). Its obvious to see how the provision of PGN export and sharing go hand in hand, so it is likely that this feature combination will be added soon. ChessJournal is about storing, analysing and recording your thoughts about each individual game to identify where you went wrong. Whilst we are pleased with the v1.0 implementation and the ability to edit and annotate games, we feel that a better, sexier solution could also exist. Whilst I don’t want to say too much now, myself and Matt will be exploring how to improve the design of the game annotation feature of ChessJournal. Basically we will be focusing some design effort on the “journal” part of ChessJournal. The Trends tab of ChessJournal is intended to grow as we gather more feedback from ChessJournal users and fans. At the moment we have launched with two Trends: “Opponent Grade” and “Length of Game”. Moving forward we have already identified three additional trends which are “Form”, “Days of the Week” and “Mistakes”. If you have any suggestions for what kind of trends you would like us to track then please do let us know. Android, oh Android! Yes. We will be launching on Android. The app has been specifically designed to do so. However, we want to make sure that we get ChessJournal right on one platform first before we launch it on a second one! Its been really reassuring to get all your comments on Android as it shows a real desire for ChessJournal which is encouraging. A final high-level feature we will be working towards is the provision of ChessJournal in multiple languages. In a similar vein to the Android launch, we want to make sure that we get ChessJournal right first before we invest and create multiple language versions of it. However, we understand how critical launching a multi-language version of ChessJournal will be as chess is obviously a global game! For example, our Twitter Analytics package shows us that 18% of our Twitter followers speak Spanish. Thats a big percentage of ChessJournal fans! So thats our high-level feature roadmap for ChessJournal. Hopefully this post gives you an idea of what is come and where we aim to improve. I know I always say it but we really are grateful for your feedback and suggestions and ChessJournal’s success is built upon that collaboration. Please do share news of ChessJournal with your friends, team mates and club officers. Every piece of feedback helps. By now I am sure that most regular readers are aware that ChessJournal v.1.0 went live on Saturday 28th May 2016. Huzzah! The response so far has been absolutely fantastic with a flurry of positive comments across social media. Its been a pleasure to read everyones responses as well as start to gather valuable feedback on how we can improve ChessJournal. If you have contributed over the weekend then both myself and Matt would like to say a big thank you! Its already fascinating to see the consensus from ChessJournal fans on things that can be improved as well as features that are missing. For example, a PGN export feature has been requested on numerous occasions. Such a request brought a wry smile to me and Matt as we have already (architecturally speaking) planned for the introduction of a PGN export feature. It just didn’t make it into v1.0 of ChessJournal. This is an excellent example of how real customer feedback affects the roadmap for ChessJournal. Originally the PGN export feature was not so high a priority but we have listened to you, the customer, and are already planning how to move this desired feature forward. I will be blogging shortly with the high-level development for ChessJournal so please say tuned! A second highlight of the launch weekend was finding ChessJournal entering the Top 20 in the Top Charts for “Board games” in the UK. Straight in at number 13! A great result (quickly followed by an immediate plummet from the top 150, ah well). So we finally got there (only the 6 weeks late) and I feel its important to say that this is only the beginning as we work (with you hopefully) to push ChessJournal forward and create the best companion app for “over the board” chess players possible. I will finish this post with an image that I feel sums up the weekend for myself and Matt. Its been a month since my last update and despite outside impressions to the contrary, we are very very close! Tomorrow myself and Matt intend to meet for a couple of hours to finalise the App store submission which means, all being well, ChessJournal v1.0 should be available within a week! Perseverance was the order of the day and eventually we found Garbo-JS. A lovely example of a chess engine with a playing strength of around 2600 ELO, more than strong enough to evaluate any given position that your average club player will find themselves in. Unfortunately Garbo-JS hadn’t been updated for about three or four years (a lifetime in development circles), so Matt found himself scratching around in the dark whilst I desperately tried to figure out the strange outputs that Garbo-JS was showing. Our situation was analogous to finding an old sports car engine covered in dust. Somewhere inside was a powerful engine, it just needed a hell of a good mechanic and a couple dozen oil changes! Fast forward three weeks and we are proud to say that the our chess engine is now purring nicely and giving good clean honest evaluations of any given chess position. With some minor amendments to the user interface (UI) the app is now feeling really nice to use. Nicely done Matt! So that explains the delay in launch and the fun shenanigans that we have been enjoying in the ChessJournal camp in recent weeks. Our final bug sweeps have thrown up some fascinating issues, most notably the one below which neither me or Matt can really explain (don’t worry its fixed now)! As always I will finish this blog post with a social update. Our little community now numbers 402 followers / likes. Its reassuring to see the steady growth and interest in our project. Thanks for all your patience, we really are very close and I can’t wait for you all to get your own ChessJournal’s on your phones. I have been playing with the v1.0 of ChessJournal for the last week and on my next blog post I will write about using it to analyse my personal chess season from 2015/16. Its surprising what findings it throws up!